DIRECTV Now is a streaming TV app, which means it's available anywhere with a internet connection. However, it has fewer channels than the average cable/satellite TV. You also need a fast internet connection with unlimited data to enjoy the service. Should you sign up? We review DIRECTV Now and do the research for you. Signing up with DIRECTV Now is easy. All you have to do is create your user account and choose a package. After that, just download the app onto your smart device, and you're ready to go! You can even choose to try DIRECTV Now's seven-day trial for free first. If you don't like it, just cancel anytime during the trial period. If you choose to keep the service, they'll automatically deduct the monthly fee from your account (it's a prepaid TV service). After that, the subscription is month-to-month until you decide to cancel. Like other streaming TV apps, DIRECTV Now is a prepaid service with no contract. This means you don't have to deal with installation, equipment, or early termination fees. That's great, especially for those who don't want a commitment. There's no set-top box with DIRECTV Now, but you do need a smart device to play it on. This includes iOS or Android mobile devices, and/or other smart devices such as iPads and tablets. You can also watch the service on your TV if you have a smart TV, or by using devices like the Apple TV, Amazon Fire TV Stick, Google Chromecast, Roku and others. Now that you know the basics, let's go over DIRECTV Now's pros and cons. No contract: If you don't like commitments, DIRECTV Now is a great option. There's no contract, and you won't have to deal with installation or returning rented equipment. That makes DIRECTV Now truly flexible - you can stop and resume your service anytime. Good availability: Because it's a live TV streaming app, DIRECTV Now is available anywhere with an internet connection. Just download the app to your smart device, and you're ready to go. This also means you can watch TV wherever you have internet - making it great for when you're on the go. No extra fees: Unlike its sibling DIRECTV, DIRECTV Now has no hidden fees. There's no activation or installation fees, and no equipment fees either. You'll need your own internet connection, of course, as well as a smart device to watch it on - but other than that, you'll only be paying DIRECTV Now's subscription fees (plus taxes). It's cheaper: DIRECTV Now's subscription is cheaper than traditional cable or satellite TV. While the average cable/satellite TV fee may cost you around $100/month, you'll be paying less than that for DIRECTV Now's highest tier plan. Also, DIRECTV offers premium networks, such as HBO and Cinemax, at a lower cost compared to the same service for cable/satellite. You like being able to watch TV on different devices: While nothing beats the experience of a wide-screen TV, sometimes you just want to watch your shows elsewhere. Whether it's on your mobile phone in bed, or on your tablet on the train to work, DIRECTV Now allows you to enjoy your TV anytime, anywhere. You want to be able to try the service before you buy it: DIRECTV Now has a seven-day trial period for new users. If you cancel within seven days, there's no charge. You can use this to see if the service is compatible with your internet connection and smart devices. It's easy to get started: With DIRECTV Now, it's easy to sign up. Just create an account and download the app. It's that simple. You won't have to speak to a customer service rep who will try to upsell you. You also won't need to set up an installation appointment and wait a whole day for the technician to show up. You want more channels from your streaming TV app: DIRECTV Now's highest tiered package, "Gotta Have It," has 120+ live channels to choose from. That's more than similar streaming TV apps like Sling TV and PlayStation Vue. If you're all about the price-per-channel, DIRECTV Now has great value. 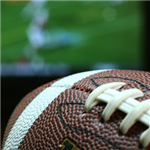 DIRECTV Now vs Sling: DIRECTV Now's lowest tier has over 60 live channels. This is more than Sling's highest tier (Sling Orange + Blue), which has a little over 50 channels. DIRECTV's lowest tier has both ESPN, ESPN2, and Fox Sports 1. You would have to get Sling Orange + Blue to get all of those. You want to make account changes without a phone call: If you don't like speaking to a customer rep just to change or cancel your subscription, then DIRECTV Now is for you. You can make all the changes online through your account, including changes to your service. You can start and stop your service without having a salesperson try to change your mind. You don't have fast internet: This is the biggest barrier for DIRECTV Now. Without a fast internet connection, you won't be able to stream your service (at least, not without interruption). You won't be able to enjoy shows in HD either. DIRECTV Now recommends a minimum internet speed of 12 Mbps to subscribe to their service. You're not tech savvy: Since DIRECTV Now is an app, you'll need to have a bit of technical expertise to be able to watch it on different smart devices. There's no technician to come and set it up for you. Fortunately, DIRECTV Now's official website has walkthroughs for most of them, so the process shouldn't be too difficult. Not as many channels as traditional cable/satellite TV service: Streaming TV services don't carry as many channels as traditional cable/satellite TV. 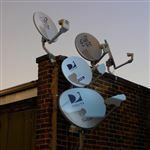 If you like channel surfing and having a lot of options, it's better to go with a cable/satellite TV service. DIRECTV Now is better for users who want a few key channels and simple features. PlayStation Vue: PlayStation Vue is another streaming service that can give you live TV without the hassle of contracts and installations. You won't need a PlayStation - it's a standalone app which you can install on most smart devices. It offers more channels than other streaming services like Sling TV, and you can start and stop your subscription without worrying about early termination fees. Netflix: If you like on demand titles, Netflix is one of the most popular streaming services. What's great about Netflix is their original, exclusive content. You'll get popular shows not available on other channels, such as Narcos, Mindhunter, and Stranger Things. Sling TV: Among streaming TV services, Sling TV is the cheapest. While the channel selection is limited, you'll still be able to enjoy quality channels like Comedy Central, Disney channel, and National Geographic. Picking both their packages gives you access to all 50 channels, for a small monthly fee. True Cloud DVR (in development) Sling TV's cloud DVR can record any number of shows, although it's not available on all channels. 50 hours of cloud storage for $5/month. Cloud DVR beta users have 100 hours of cloud storage. No early termination fees. No refunds for prepaid or partial months of service. No early termination fees. No refunds for prepaid or partial months of service. App-based TV service, can be installed on most smart devices. App-based TV service, can be installed on most smart devices. Payments are automatically deducted from debit or credit card on file. Payments are automatically deducted from debit or credit card on file. No equipment rental fee. No equipment rental fee. DIRECTV Now: Pricing information including fees, features and contract length was obtained on April 12, 2018 from published websites and is believed to be accurate, but not guaranteed. DIRECTV Now has one of the highest channel counts compared to other streaming TV providers. If you're all about the price-per-channel, DIRECTV Now is for you. Having no contracts and equipment also means you can stop and resume your service anytime. Because it's an app, the only thing you need is an active internet connection. This means you can use the service anywhere as long as you're connected. Unlike cable/satellite TV, DIRECTV Now is a true mobile TV service. However, it has its own downsides. For one, you'd need to have a fast internet connection and limitless data. If you live in a rural area or rely on your mobile data network, you won't be able to use the service. Also, for those looking for the channel-surfing experience, it's better to avoid streaming TV services altogether. Cable/satellite TV providers typically offer more channels than streaming TV apps. Verizon Fios, for example, offers 425+ channels at the highest tier package, while DIRECTV (satellite) offers 330+ channels. If price-per-channel is important to you, you'll get more value with traditional cable/satellite TV. If you're just a casual user who knows which channels you want, go with DIRECTV Now. But if you love TV and want advanced features, it's better to subscribe to cable/satellite TV instead. Leave a comment about DIRECTV Now Review?